Futurama Fry shows the character from the television show Futurama named Fry as the subject of the meme. The photo is a screen shot, taken from the episode entitled “The Lesser of Two Evils”, and the moment captures Fry’s half-lidded expression at the moment after being discovered searching another character Leela’s underwear. Futurama is a wildly popular show for self-proclaimed geeks and nerds everywhere, and is a cartoon program for adults depicting life in the future. Fry is one of the main characters of the show. The text surrounding the meme picture, as with other memes, follows a set formula. This phrasal template goes as follows: “Not sure if (insert thing)”, with the bottom line then reading “or just (other thing)”. It was first utilized in another meme entitled “I see what you did there”, where Fry is shown in two panels, with the first one with him in a wide-eyed expression of surprise, and the second one with the familiar half-lidded expression. 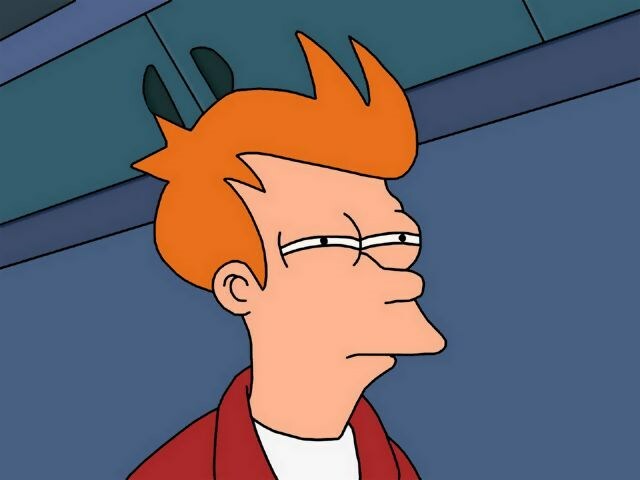 As an example of the phrasal template, Futurama Fry can be seen saying: “Not sure if just smart …. Or British”. Another example would be “Not sure if highbeams … or just bright headlights”. The main form of the meme seems to be with the text “Not sure if trolling or just stupid”.